Welcome to Cast Iron Farm! 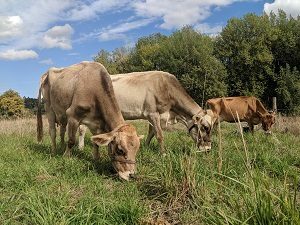 We are a small farm in Mcminnville, Oregon specializing in Raw Cow Milk. 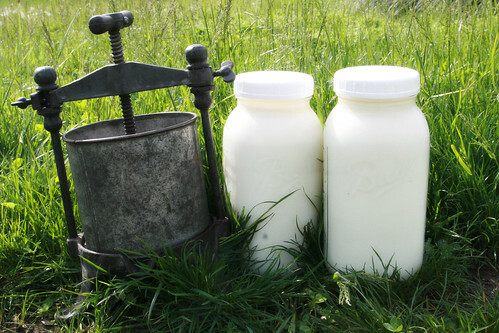 Are you looking for a source of tested, safe raw milk? Do you want to know your farmer and your the name of the cows your milk comes from? Do you want to be more connected to your food and be a part of our micro farm community. Our farm provides these things. We believe in community. That’s the reason that drags us out of bed early in the morning or coaxes us to head out in the heat, the cold, the snow or the rain. Food brings us together. The most important thing for us is the health and well-being of ourselves, our land, our animals and our community—YOU! You vote with every dollar you spend. Thank you for voting to support small farms and community. Your support helps bring us closer together and you closer to your food.